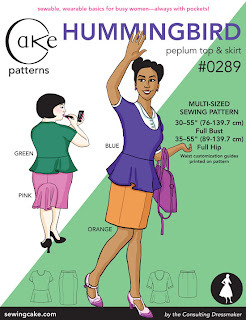 ... but I wanted to make sure you were all aware of the Hummingbird Presale for Cake Patterns, which runs through April 7! Also, StephC and I had so much fun working on the girls for the cover (she modeled, I drew), but while you may have met Maya on the cover of Pavlova, our background girl still needs a name. Ideas, please? (Of the suggestions so far, I love Ingrid, Clea and Izzy...). As before, my cartoonist husband Masheka was the designer. 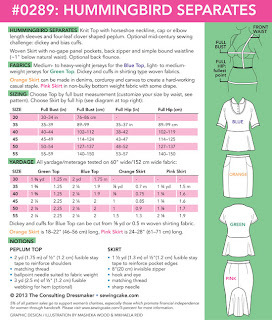 Here's the back image... Oh I just love peplums and flounces! Also, I love green and pink together. And bright colors... you know me! More details on Hummingbird and the presale over at 3 Hours Past. As for the surgery... I was on strict bed-rest for a week, and have to take it easy for another week, but I'm now breathing through my nose and free of a sinus infection for the first time in MONTHS. I was actually able to smell my delicious spicy lunch food today. AMAZING. 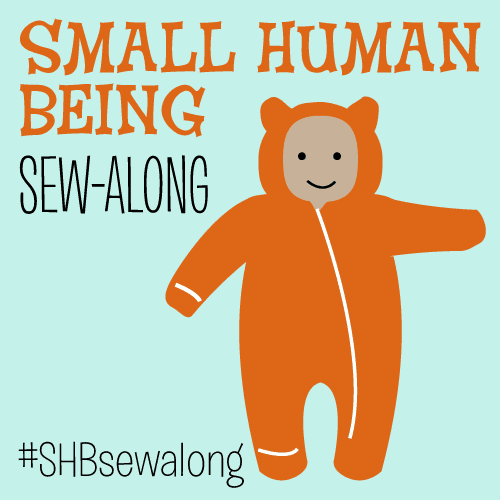 I cannot WAIT to be well enough to SEW, I tell you what! Thank you all for your super sweet well wishes. P.S. Not much knitting while lying in bed, but I did weave in the ends on my cardigan and reknit a too-tight hat (scroll down) I had to frog because it was giving me headaches ... pictures when I can! And I wound the balls of yarn for a pair of TARDIS socks (the dear Doctor is back in just a few days after all). Oh, girl, feel better soon! I'm so sorry! 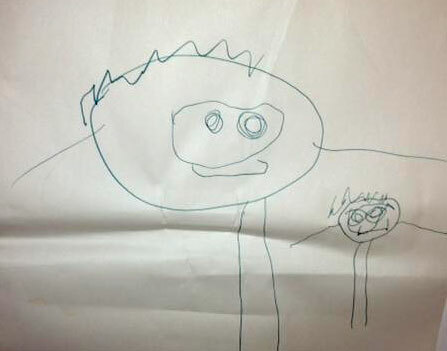 But that drawing by your daughter is so flippin' sweet! What a dear! Oh get well soon! Z is a little artist already, I love little person art! I'm not good with a general either...makes me hideously sick for days. Glad the surgery was successful...keep taking it easy though. And, as always, great job with the ladies! General Anesthetic is nobody's friend. Glad you are recovering and breathing (always a good thing) so you can enjoy your busy, creative life. Hang in there. I had sinus surgery last April, and I am SO happy I did. Being able to breathe, and not have infections every 3 months is so worth it. I hope you have similar results! Sending healing thoughts your way! Love Z's illustrations...they ooze love. Get well soon!!! I really love Z's drawing of you and she :) As to naming your background Hummingbird girl, I like Lucy.